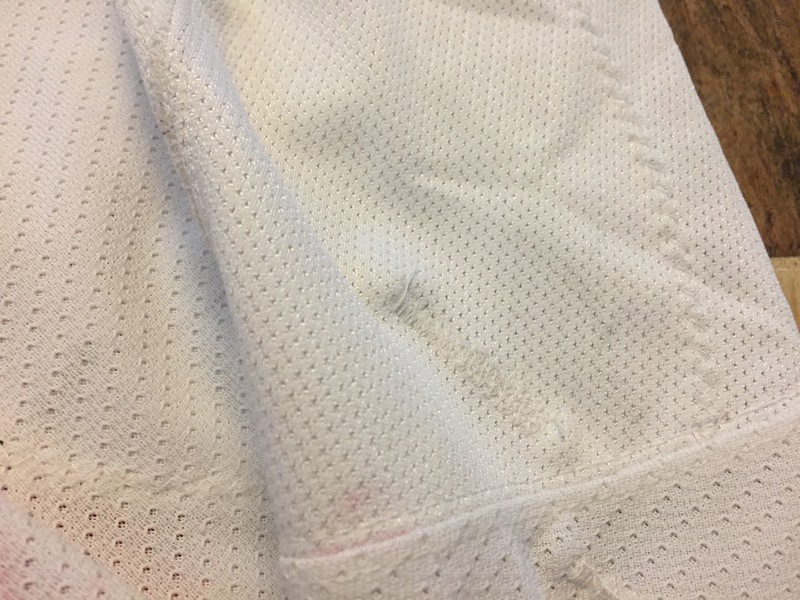 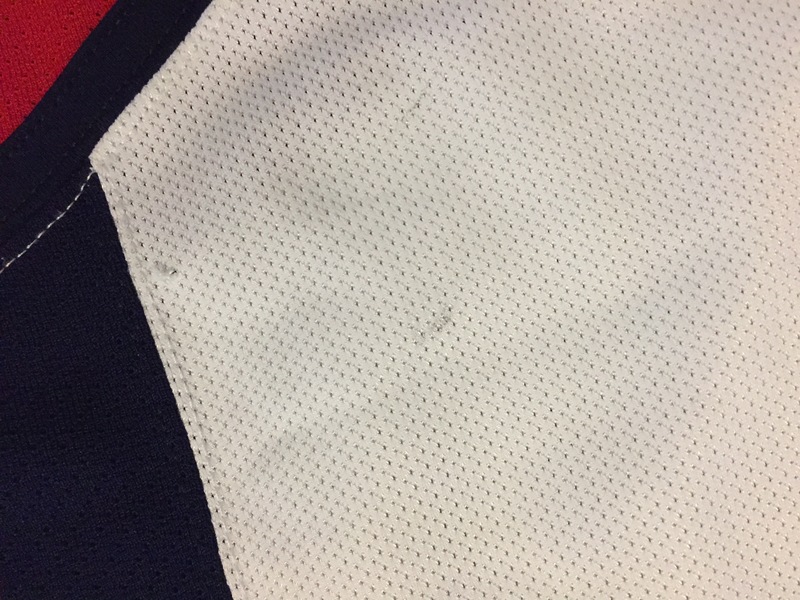 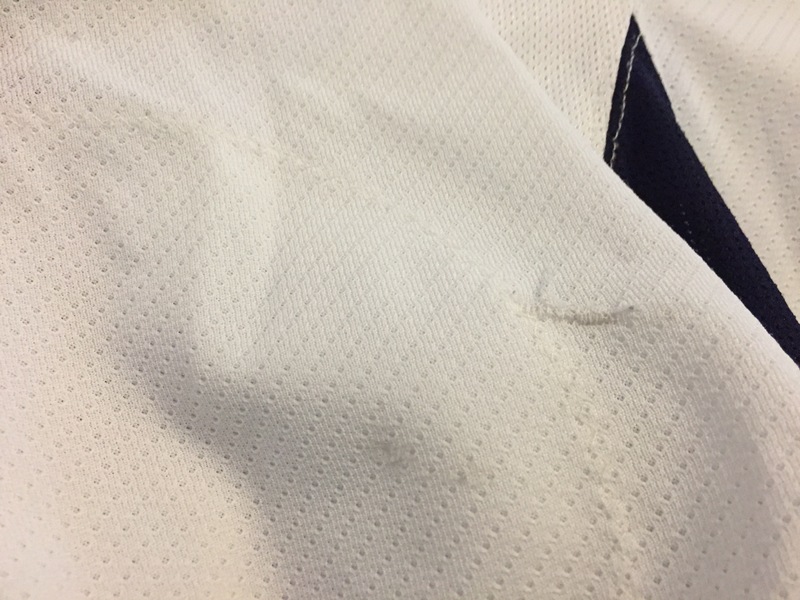 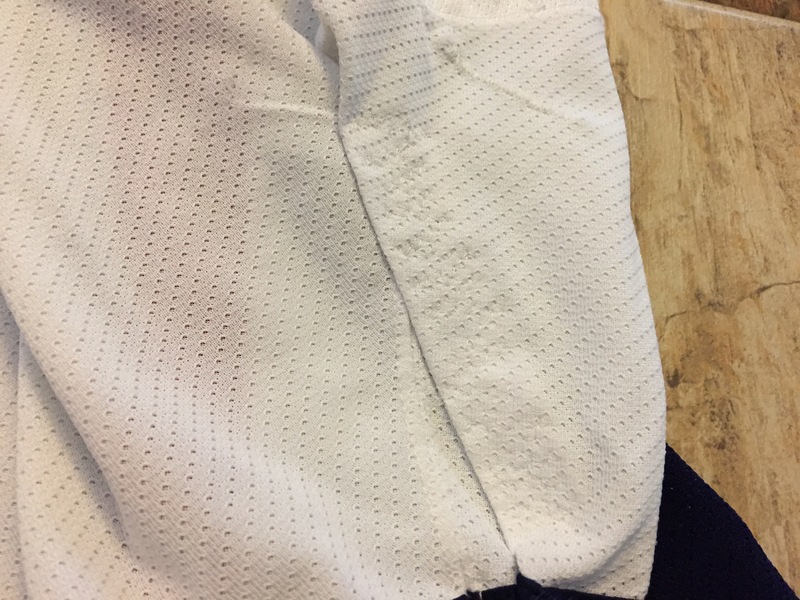 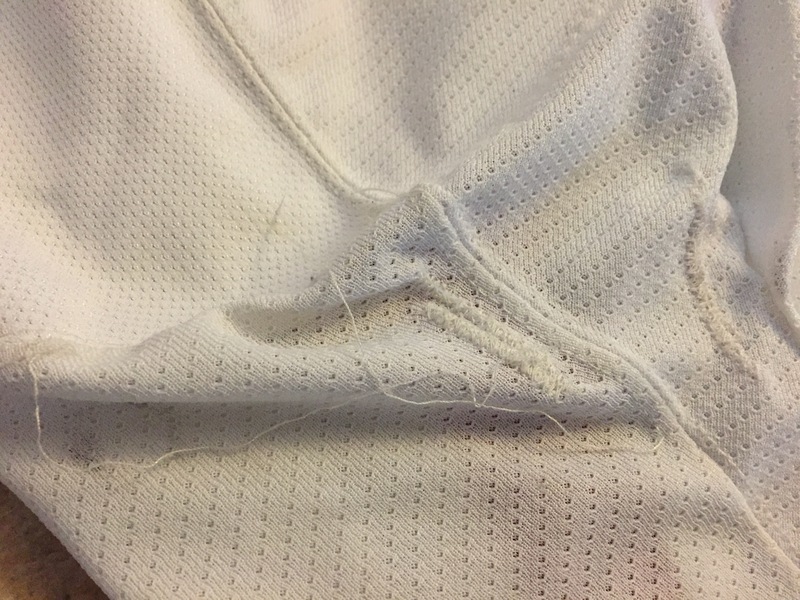 Solid wear on the sleeves with numerous repairs. 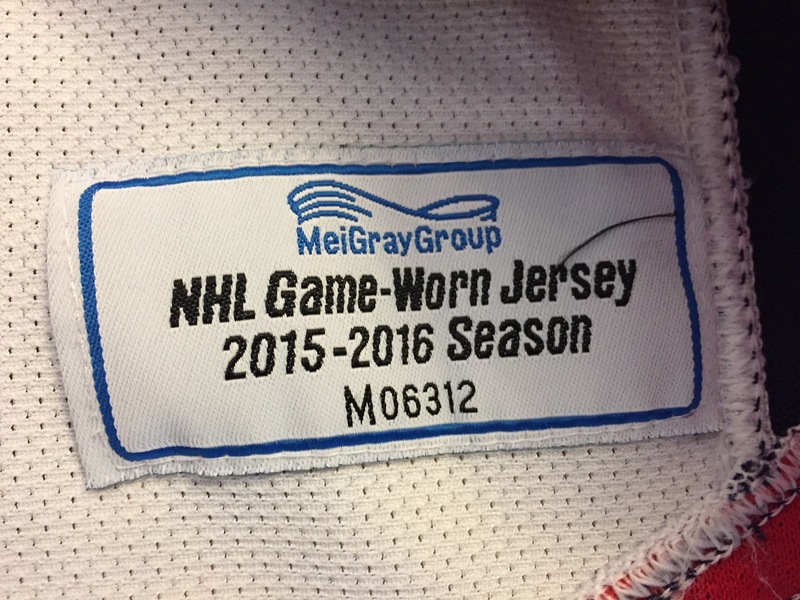 The sleeves have been customized as well. 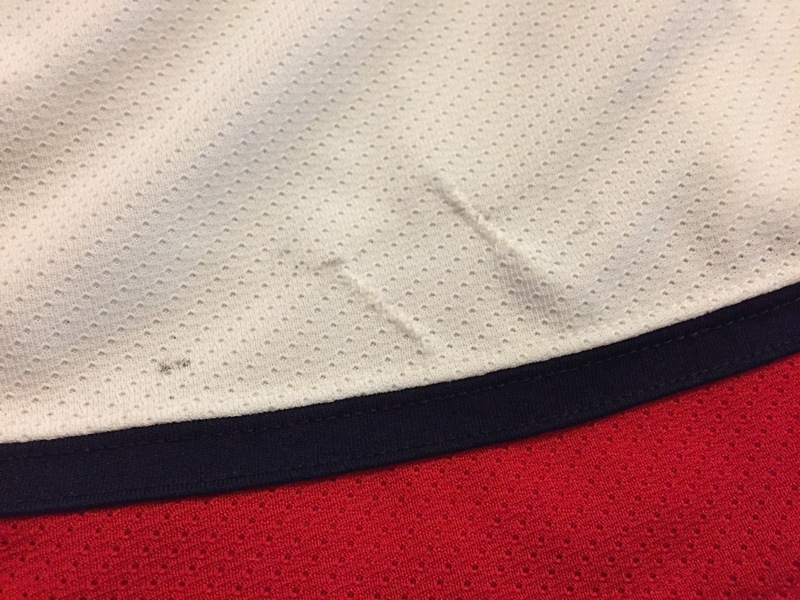 A few scattered puck marks. 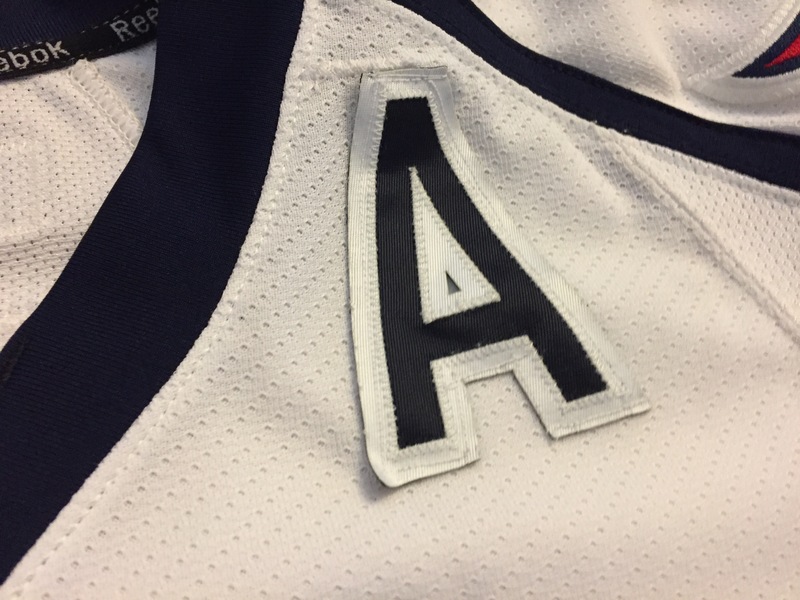 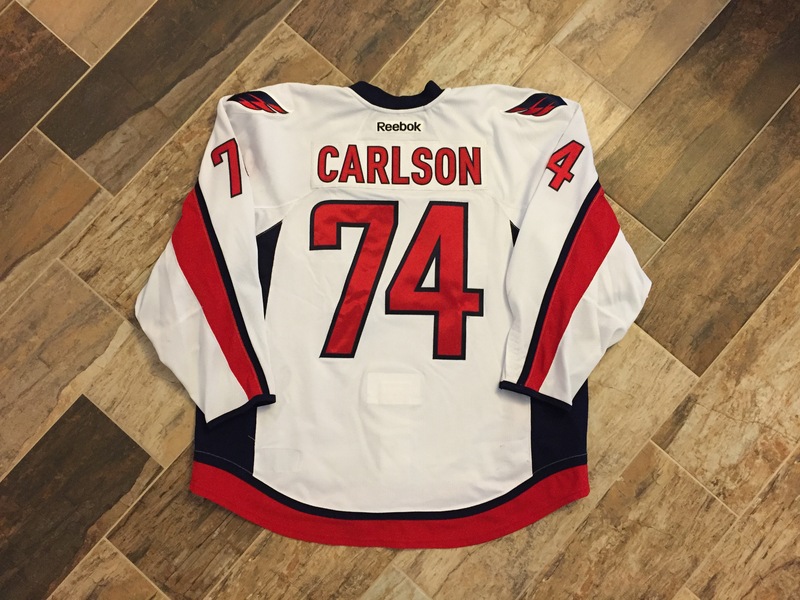 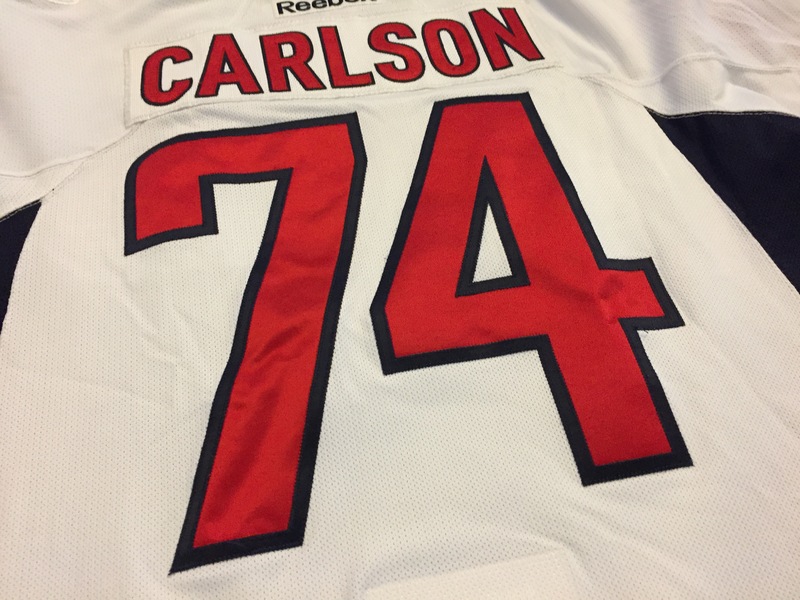 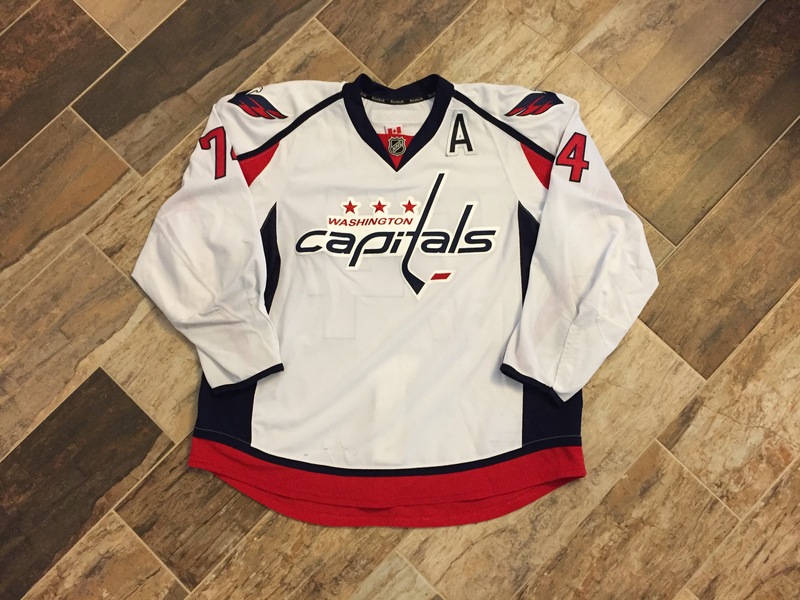 Jersey has the alternate captain’s A.